Our former landlord told us about this tiny pizza place behind the Cathedral, which fits maybe 20 people. The space is small, and the oven is right behind that counter – so it can get pretty warm and smoky during the summer. Why do we like Endavant, then? Well, the only thing better than their pizza is the price. 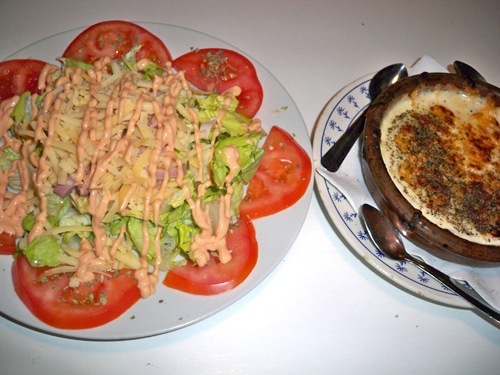 Don’t miss the cheese fondue as a starter – so yummy, so cheesy, so sinful. 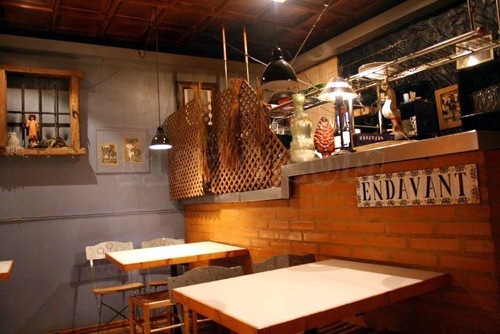 Endavant is the perfect place for a small group to start a fun night out. If there’s no free tables, you can also call in, pick up your pizza and make the short stroll over to the Turia riverbed. can they understand English btw? Not sure how their English are but they are super friendly and helpful. They will try their hardest. They are closed during the day but are open around 7pm and start serving dinner around 9pm. It could be too that are closed for the month of August. So if you are at Plaza de la Reina or Virgin just walk by and check if there is some sort of sign. trato horrible, el camarero está en la parra, no se acuerda de lo que pides y además, se equivoca. No me imagino cuando el bar esté lleno!!! además va de gracioso y no tiene ninguna gracia. 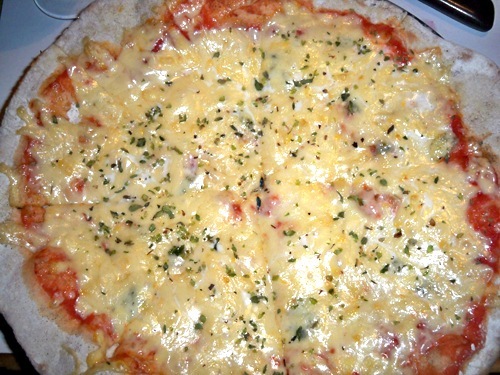 salió con los bordes muy quemados.